This is the story behind the best egg nog--and the best egg nog traditions to accompany it. First, we must explain that this recipe is . 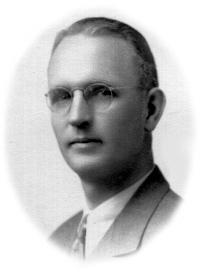 It was a secret when Mr. George P. Hunt pried it out of a man named Otis Terrell in Shanghai in 1926, and it was a secret when Mr. Terrell pried it out of Carl Seitz, a lumber executive from Virginia, some years before. We always take care to emphasize this to our guests when they come over to help make the egg nog--secrecy adds a subtle but thrilling flavor to the nog itself. Feel free to pass the recipe along, but always make it seem as if it is being pried out of you. Having apprenticed at the Terrell household, Mr. Hunt went on to host his own egg nog parties. On the Sunday after Thanksgiving, every year for nearly 60 years, a select group of friends would gather to prepare the secret recipe, a recipe not just for egg nog but for conviviality itself. After the jump, step-by-step instructions for starting your own 60-year tradition.